Welcome to the first monthly Ehdrigohr Traditions article. What these Traditions articles will aim to do is give you particular info over different traditions in the world and how they use the Mysteries. The info will also expand on rules already in the book and offer stunts and techniques that can be used elsewhere. Though they will often provide extra flavor when needed, these are intended to be more rules heavy. The impetus for this is partly that there’s a ton of information that, for one reason or another, didn’t make it into the main Ehdrigohr book. Mostly the reason was that the book was already getting too big. In addition, as I’ve played my own game with a wider and wider circle of people and player types, I find that I feel I over compensated on the side of making it easy to jump in and play and didn’t have enough to help you figure out the long game. These articles and rules are also coming up because I’m deep in writing up adventures and some of those adventures are forcing me to grow info in particular sections of the world which, in turn, requires a bit more fleshing out of the various groups in play. As I flesh out and refine these rules and lore I feel like it’s a good way to get you all touching them and giving me feedback on what does and doesn’t work well for your groups before I fully commit them to the adventure modules and put them up for sale. The first Traditions I’m digging into are the Great Societies in general and the Crows in particular. While they received a lot of attention in the book in terms of lore and fluff and ideals, they did not get much in the way of rules and mechanics to help them feel special. That’s partly because, while I wanted people to know that these groups are important parts of all the cultures of Ehdrigohr I didn’t want people to feel like they had to play the “Great Societies” game of Ehdrigohr. What follows is a more refined look at the Crows as a warrior society type of tradition. As such it clarifies some rules on warrior societies along the way. We fight for those who can’t. In addition to the crowlance the other symbols of the Crows are the Crow’s Mark which is typically worn as brooch, the Crow’s Mantle – a cowl and feathered cloak of dark coloration that shimmers and shines with the colors of the crow (black, blue, green, purple). Crows are especially strong in the Element of Wind and the Natures of Body and Mind. Techniques taught to Crows come from these three mysteries first and foremost. They are powerful martial artists and their use of the mysteries is wrapped up in their martial techniques. Bringing the mysteries to bear is typically focused around various subsets of fighting skills and the use of the medicine skill. This usually requires physical maneuvers combines with a series of stances, intonations and invocations of martial ideals or the use of special powders and equipment. The use of Wind is heavily tied to the Crow Lance. Other mysteries involve the use of the Crow’s Mantle and the Crow’s Mark described below. The Crows and their ideology are described in detail in Ehdrigohr: The Roleplaying Game. You can always refer back to this old article about the Great Societies. Joining the Crows means you are a part of the order and treated as part of an extended family. This manifests in a Stress track called Standing. Whenever you ask favors from the order the GM should consider this an attack against your Standing track. You defend against with Rapport or Contacting. Any stress taken comes off of the Standing Track. If you break one of your oaths it is considered a Fantastic (+6) attack against your stress. If there is no one else to witness the transgression it is a Great (+4) attack. Others can attack your Standing with Social attacks. When you are present you defend such attacks with Rapport. When you are not around to defend yourself, these attacks must Overcome your Contacting score to succeed. Battle Shiver’s and all things that bring Sorrow to the world. Your skills and life are in service to the greater good. Aid those in need, especially those from the other Societies and those who cannot do for themselves. Act and speak with integrity. Members of the Crow society have an inner reserve of spiritual energy they refer to commonly as manitu. Manitu powers techniqes. Any time a technique is used it does stress to the manitu track in accordance with its power. A Good technique would do Good stress for example. You can always use a Fate point to avoid 2 points of Stress from a technique. Additional Consequences +1 Worn Consequence per 3 steps of Medicine above Mediocre. Some stunts have prerequisites. These are listed in brackets after the stunt name. Your reputation precedes you. You may subtract 1 point of stress from any stress coming in to your Standing Stress track. Use of your manitu doesn’t drain you as quickly as it does for others. You may subtract 1 point of stress from and stress coming in to your Manitu track. Reduce the stress done by techniques to your Manitu by 1. This does not reduce stress that comes from failing to perform a technique correctly. Reduce the stress done by techniques to your Manitu by 2. You won’t suffer critical failure effects on techniques that are Fair or easier. As Expert Technician, but this gives you even more control over your techniques. You now reduce the stress that techniques do by 3. If you are ever forced to use a technique and pull from health or composure then those techniques have their stress cost reduced by 1. What follows are some additional martial techniques that can be taken by a character who joins the Crows. Crows also have access to the basic techniques shown in the core rule book. Upon taking this tradition the character will have access to 4 martial techniques. More techniques can be learned as stunts. 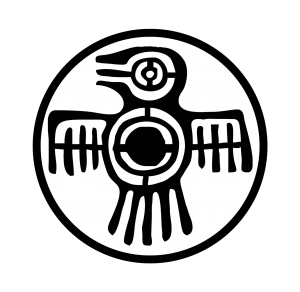 As techniques the stress that comes from using them initially comes off of the Crow’s Manitu stress track. Once Manitu is used up the Crow must use her other stress tracks to power them. This cost is in combination with a Resonance check from the skill listed in the technique. A technique can never be enhanced. It only does what it is designed to do and nothing more. Succeeding with style however allows it to be slightly more effective. Failing critically is dangerous for the Crow as it could harm him, or the environment, depending on the Mystery in question. Lucky a technique can only do so much harm. This is another reason to use them over trying to freely use the Mysteries to create effects. Feel free to adapt techniques into your own warrior societies. When a Crow takes a physical consequence she can attempt to use the blood as a weapon. Doing so requires an Endurance roll equal to the amount of stress absorbed by the consequence. A Crow can’t use this for a consequence that is higher than her Body score. There is a channel built into the crowlance made specifically to help with this process. The Crow can create an advantage based around the lance to prep for using this technique. Success means they do additional stress with physical attacks with the weapon equal to the consequence value. This only applies to the weapon used with this technique and lasts for the scene. Succeeding with style also increases the power level one step. A tie means they still get the boost but take additional stress equal to the value of the consequence. A critical failure leaves them in a state of wracking pain until the end of the scene or until they receive healing. While in this state the Crow must make Resolve rolls in order to take a physical consequence. The difficulty of the Resolve roll is equal to the value of the consequence they want to use. The Crow extracts a handful of hair which on an Average Body roll becomes a large black hunting-knife sized feather. In truth they’ve created something that is like a fingernail shaped like a razor sharp feather. The feather has the advantage “razor sharp but pliable.” On a success it can be used like a knife in combat but it breaks as soon as it does stress equal to the wielder’s body skill in an attack or if the user fails a weapon knife roll. If the Crow succeeds with style the blade lasts for the scene regardless of the stress dealt and does 1 point of additional stress on an attack. On a tie the wielder gets the knife but takes stress as normal for a failed body roll. On a critical failure no feather blade is made and the Crow takes stress as normal and their finger nails on one hand fall out leaving their hands a bloody mess. A crow can place this blade in their crowlance and use their weapon[Spear] skill to fight with it. This counts as them using the crowlance for sake of advantages and aspects that target the crowlance. When a Crow would take stress they can instead make a Deceit roll equal to the incoming stress. Success means that they create a flurry of feathers that that blocks and confuses the opponents. The flurry allows the crow to block 2 points of stress on a success and 3 if they succeed with style. More importantly it creates the advantage “Feathers everywhere” which the Crow can invoke on a Deceit/Stealth/or Evasion based roll. The feathers only last for an exchange. If a Crow has her Crow’s mantle (their cloak) it adds a +1 to their roll to use this technique or can be invoked for a bigger advantage. On a critical failure the Crow loses large patches of hair in addition to the stress that comes from the failure. The Crow can cause others to ignore him by making a FAIR Medicine roll reducing his presence and not appearing to be a threat. If used in battle it is an enhanced feint that is opposed by the opponent’s Resolve and not by any fighting or weapon skills. Success means the Crow creates the advantage “You don’t see the threat” on their next exchange. Success with style allows any attacks that benefit from the use of this technique to do 2 additional points of stress. Ties and failure cause the Crow stress as normal. If used outside of combat this technique allows them to pass unmolested by potential foes. This is an opposed roll between the Crow and the target. The Crow gains +1 on this roll if she has her mantle on and she also can create advantages using stealth and deceit before making the roll provided the Crow sees the opponent first. On a critical failure the Crow loses some self-esteem and takes stress as normal. If this causes a consequence it must be a mental consequence called “I want to be taken seriously” which can be compelled to make her draw attention to herself. The Crow uses Medicine and agitates the mind of another giving them an extreme sense of paranoia where it seems that other Crows are lurking waiting for a chance to strike. It puts into play the advantage “Distracted by unseen threats”. The target is convinced an even greater threat is about to attack at any moment. On a success the Crow may invoke the advantage for free a number of times equal to his MIND score. Succeeding with style allows the Crows companions to each invoke this advantage for free once. Ties and failure cause the Crow stress as normal. A target may attempt to overcome this with Resolve every exchange after the first. If successful the advantage goes away. This does not work against anyone with a higher Mind score or (equivalent talent) higher than your Mind. On a critical failure the Crow tries so hard he imagines something so terrible he has trouble forgetting it. He takes stress as normal but if it causes a consequence it must be called “Overwhelmed by my own anxieties” and can be compelled when the Crow’s courage is tested and in social interactions with others. The Crow is bolstered by the deep connections shared among all members of the order. An AVERAGE Medicine roll adds +2 to the cost and difficulties to affect her Resolve. Succeeding with style allows her Resolve to be considered one power level higher when defending against mental attacks. A critical failure causes stress as normal. If that stress causes a consequence it must be a composure consequence called “Nobody cares” which can be compelled against him in social situations and in moments when he must put his faith in others. With a FAIR Medicine roll, a Crow may create an advantage called “The Wind Carries Me” which lasts for the scene. In combat it can be invoked to move the Crow up to 3 areas in any direction with an Athletics check. Succeeding with style allows them to invoke it twice for free. This can be done as part of a defense or evasion. Outside of combat the Crow can make a Medicine check to travel with long leaping glides, increasing his overall movement by 4 times and giving him a +2 on rolls to overcome terrain obstacles. On a critical failure the Crow takes stress as normal as all of the air violently exits her lungs. If this causes a consequence it must be call “Wind knocked out of me” and is compelled in situations where the Crow must engage in physically taxing activities. The Crow calls a gust of wind into a target and tries to move them about. The Crow makes a FAIR Medicine roll and can move a target a number of areas equal to her Wind skill. For lifting purposes this is considered to have a Might score of FAIR. An opponent can defend by evading with athletics or blocking with a counter use of any Element. Critical failure forces everyone in the same area as the Crow (including the Crow) to Overcome with Might or be knocked prone. Crows, Ehdrigohr, Expansion, Mysteries, Techniques, Traditions, Warrior Society. Bookmark. Great to see new content! Might want to put this in the “Edhrigohr” category. Oops! Thanks for the catch George. Fixed. Hi Kaioni! Yes. I’m working on it currently. The second adventure has turned into a kind mini-source book for the southern areas around the Beyduuni Wastes. Also thank you so much for the music and the wonderful letter you sent with it. I certainly look forward to hearing more of your work. I think there may be an opportunity to collaborate in the future.